The next Z4 will supposedly become more of a driver's car. Although the current generation of the Z4 was launched only in 2009, BMW is apparently already making detailed plans for its eventual replacement. In a new report coming from Inside Line, the next-generation Z4 will be more dynamic and sportier to drive than its two predecessors. Set to be launched in 2015, the next Z4 will still be about the same size as the current car, as opposed to reverting back to the Mazda MX-5 - like Z3, in order not to alienate customers. In other words, BMW has concluded that making the car larger and more powerful than its Z3 ancestor was the right decision to make. Buyers like the long-hood, short rear deck design and BMW doesn&apos;t want to mess too much with a good thing. Still, they believe there&apos;s room for improvement in the handling department. The next Z4 will also continue to benefit from the automaker&apos;s four-cylinder N20 engines in that they weigh less, thereby helping to improve the car&apos;s weight distribution. 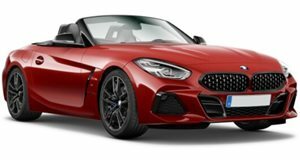 Just last year BMW replaced the Z4&apos;s 3.0-liter six-cylinder with the smaller and more efficient (yet just as powerful) 2.0-liter four pot. BMW designers are also reportedly working on a plan where their cars will be given styling that can last up to 15 years. According to Inside Line, "the thinking here is that the longevity of modern cars means that older BMWs still have an impact on brand image. So they&apos;re now designed with timelessness in mind, avoiding stand-out features that might age quickly." The bottom line is that BMW wants for the next Z4 to be more of a driver&apos;s car so that it can properly compete with the all-new Porsche Boxster. The current Z4 simply doesn&apos;t have the Boxster&apos;s handling capabilities and BMW wants to change that.